Fitness DNA testing has been around for a few years now. You may have seen that I had my first DNA fitness test back in 2014 for an article I wrote for PT Magazine. 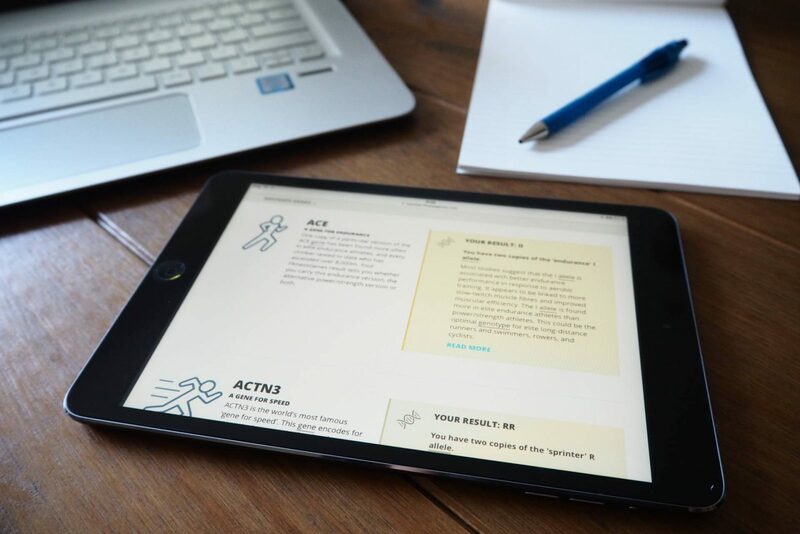 In it, I explored the relevance of DNA fitness testing, and concluded that, while it can paint an interesting picture and perhaps help to explain things you might have noticed about yourself, it is not the full story when it comes to your potential. Having said that, the science improves every day and it never ceases to amaze me what can be told from just a little bit of your DNA. 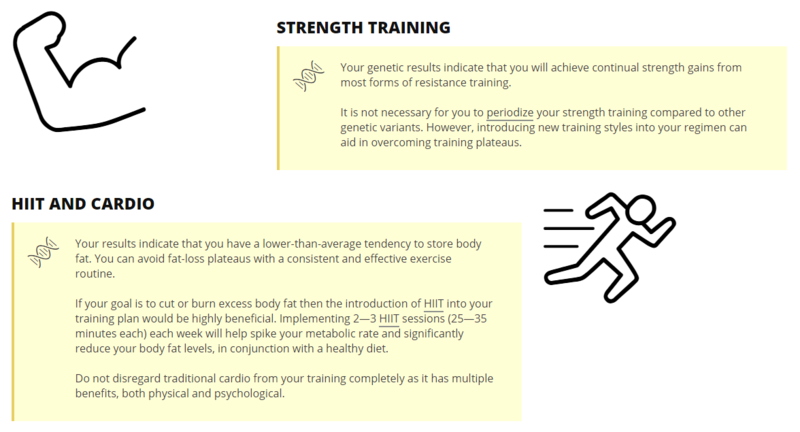 At the end of last year I had another test, this time with Fitness Genes, who’s attitude and enthusiasm about the topic just made me even more interested in the results. I didn’t think I’d learn any more about myself than I did the first time around, but I was mistaken. Here’s what my test told me. I have two copies of the “endurance” allele, but also two copies of the “sprinter” allele. This means I am approximately 50:50 endurance vs speed/power, or put another way, I am likely to have approximately a half and half ratio of fast and slow twitch muscle fibres. The endurance allele suggests my muscles naturally have more endurance or that I can improve my endurance capacity with training. As for the sprinter allele, females with this have been recorded as having “higher baseline strength on average”. I am also likely to suffer less painful DOMS, and there is a suggestion that it’s beneficial for maintaining muscle mass. I have one copy of the strength allele, which suggests I may have higher strength than some, though not as much as those who carry two copies. I also have two copies of an allele which acts as a signaler for adrenaline. This means I am likely to have better cardiovascular function and greater widening of my blood vessels, meaning more efficient oxygen consumption. I have two copies of the “weightlifting/combat athlete and VO2 max response” allele, suggesting I have a high level of creatine kinase activity – ideal for weightlifting activities. Though of course, body size and shape has a big impact on these activities too. These also suggest that my genetics are good for a mix of power and endurance, e.g. combat sports, but also CrossFit! The creatine activity point is interesting, because I have responded very well to creatine supplementation. I am more likely to be an early bird – which might help explain my propensity towards 6am CrossFit classes! I have a moderate ability to clear lactic acid. My genetic profile indicates my post-workout recovery is medium-to-good. I have two copies of the “increased obesity risk” A allele of the FTO gene, associated with increased appetite and loss of control when eating. This is something I always passed off as pure greed! I’ve watched TV programs about “the fat gene” in the past and always thought of it as a bit of a cop-out – I certainly never would have expected myself to have it… but apparently I do and now my greed makes sense! I have two copies of the “lower fat breakdown/loss” allele, which means I may find it more difficult to lose fat – something which, coupled with my expression of the FTO gene potentially puts me at a greater risk of obesity. However, I do also have two copies of the “fat burning” allele, which means I’m more likely to be able to switch over to fat-burning energy sources when endurance training. That and my relatively fast (but inefficient) metabolism has probably helped save me from this. My insulin efficiency is above average and I don’t need to overly worry about the amount of carbohydrates I consume (woohoo! ), as long as they are from healthy sources. I am genetically lactose tolerant and should have no problems digesting milk and other dairy products. I am a fast metabolizer of caffeine and can afford to consume caffeine nearer to sleeping (I love a bed-time cuppa!). I have a lower risk of high blood triglycerides, so as long as I consume adequate amounts of omega-3 within my diet, supplementation is not necessary. I have an elevated risk of Vitamin D deficiency so need to ensure I include adequate amounts within my diet. I could also take supplements. I have a low to medium risk of high homocysteine levels and would benefit from taking betaine supplements to maintain homocysteine levels within a healthy range; and increase potential performance benefits. Fitness Genes not only give you a list of all the genes they test, your results, and a scientific explanation; they also give you an actionable series of points in their member area. Below are the important points about how I am likely to respond to different forms of training. The information is so easily laid out and accessible, with links to further information where relevant. Fitness Genes also offer different training programmes, dependent on your goals. I received the female fat loss plan (their most popular) personalised to my genetic profile. The plan includes 8 weeks of workouts, available in a printable view as well as the navigable view on the website. The exercises even have handy descriptions, photos and videos! 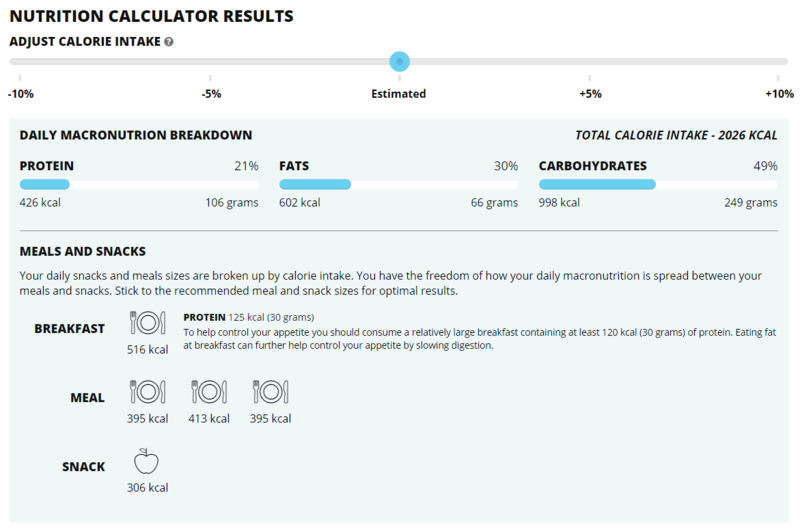 Fitness Genes have a nutrition calculator, which tells me I should eat around 2332 calories per day, 23% of these from protein, 29% fat and 48% carbohydrate. They suggest breaking these down into a larger breakfast of around 581 calories and 30 grams of protein, plus three more main meals of 462, 481 and 481 calories respectively, and a 329 calorie snack. This actually fits quite well with my typical eating habits and how I meal prep for my 9-5 job. I personally found this genetic report incredibly interesting and detailed. Fitness Genes have made the data so easy to understand, and pulled it together nicely in a way that, if you’re not interested in going through the results gene by gene, you can still gain actionable points from it. The “fat gene” and my fast, but inefficient, metabolism have explained things about me that I’ve always noticed but never been able to pin-point (the reason my husband calls me his radiator, and the reason I seem not to be able to tear myself away from a buffet!). I especially love how, when you click “read more” on each individual gene, you have access to more information about the gene, the global averages of each allele combination, information about your personal result, and research points. If you’re someone who likes to read up on things then these pages will be perfect for you – they’re comparable with information provided by examine.com (one of my favourite evidenced-based websites). It’s also really encouraging to see that, actually, I have a greater potential for power and weightlifting than I first thought, as I always assumed myself to be simply an endurance exerciser. This now gives me no excuse not to pursue more challenging goals in CrossFit, and really pull my finger out! 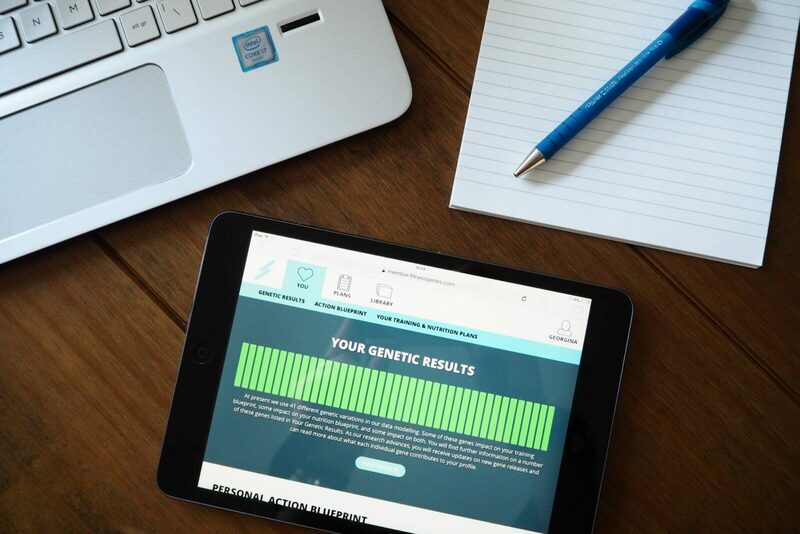 Have you ever had a fitness DNA test? What surprised you about the results? Comment below – I’d love to hear from you! Disclaimer: I received my fitness DNA test and results for free from Fitness Genes. As always, my opinion is my own and not affected by items gifted to me. To find out more about my policy on this and other matters, see my Disclosure page. I’d love to get this done! You should, Lucy! It’s so interesting! I’d definitely do it again myself knowing what I know now. This is fascinating! I would love to find out my profile – you will have to let us know if you make any changes as a result of this, and what effect they have. Thank you Beki! I found it so interesting. I’ve definitely taken on board a lot of it as explanations as to how and why I feel the way I do sometimes. Diet-wise I had kind of figured out a nutrition strategy that worked for me already through trial and error, but it’s good to know the whys that go with that. 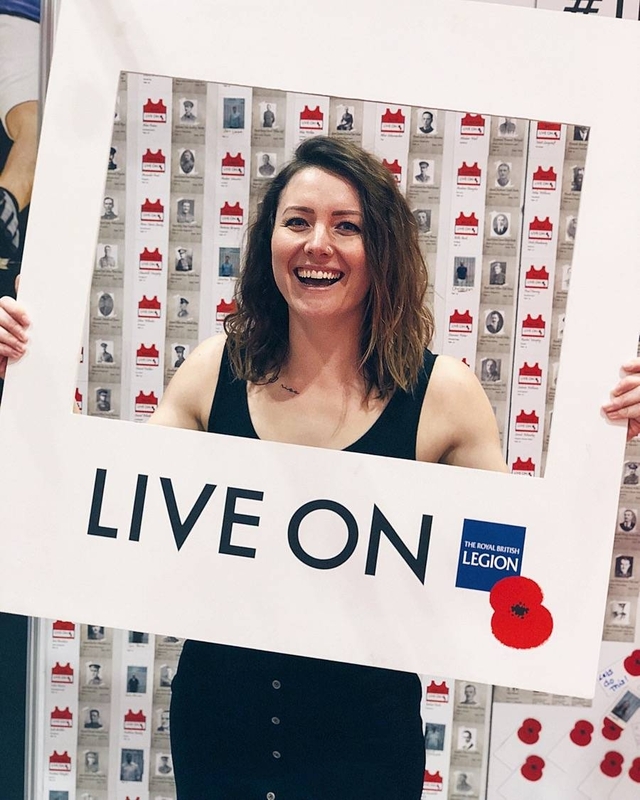 As for training, I don’t think I’ll change much because what I do is determined by the CrossFit programme that my box puts together, but if I train independently I’ll definitely keep my rep ranges at the higher end. Im not questioning the outcome of the various alleles that they test for…but the “workout volume” of 16-32 sets, 12-15 reps etc is a generic piece of advice that they give to EVERYONE. Every reviewer that has put up their results has received the same recommendation. My results have….wait for it…the same workout recommendations despite me having different gene combos to you. I emailed FitnessGenes and they won’t respond. I found the results to be an interesting novelty, didn’t provide any tailored advice for my genes and definitely wasn’t tailored to my goals. Thanks for commenting Matt, that’s really interesting. I have to admit that for me those rep ranges made sense (from my own experiences of training – I usually find I’m stronger in volume than my 1RM tests show), so I never thought to question it. I can only assume, from how well put together their research is, that it must be that most people respond well to this kind of training, and that the lower set/rep ranges are only really relevant for very few people? I’ll email and ask them the question myself and see if I get any luck! Thanks for commenting! It’s so interesting to look into the way your body works isn’t it!